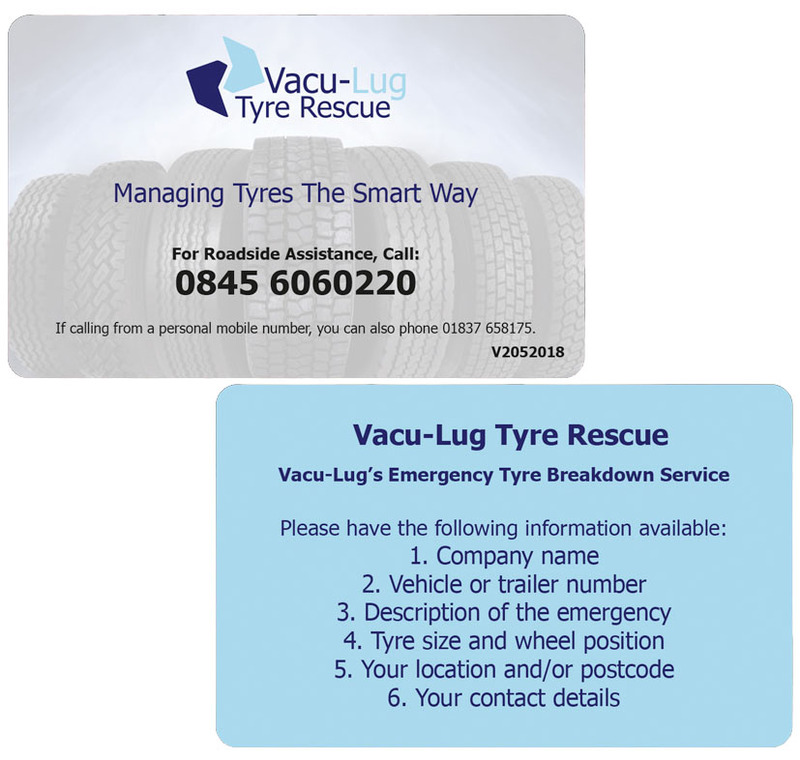 If you are a Vaculug contract customer, our nationwide emergency tyre breakdown service is here for you 24/7, 365 days a year. Simply call our team on 0845 60 60 220 to initiate the service. Our agents have access to the UK-wide network of Vaculug Service Providers and can rapidly ascertain the nearest available dealer to complete the job in the shortest time frame. Our agents will issue you with a unique job reference which will link to full details of the work to be carried out and is used right through to invoicing. For further information, please contact your usual Fleet Account Manager, Contract Support Manager or alternatively Gary Johnson, our Sales & Customer Services Manager on 07879 662968.